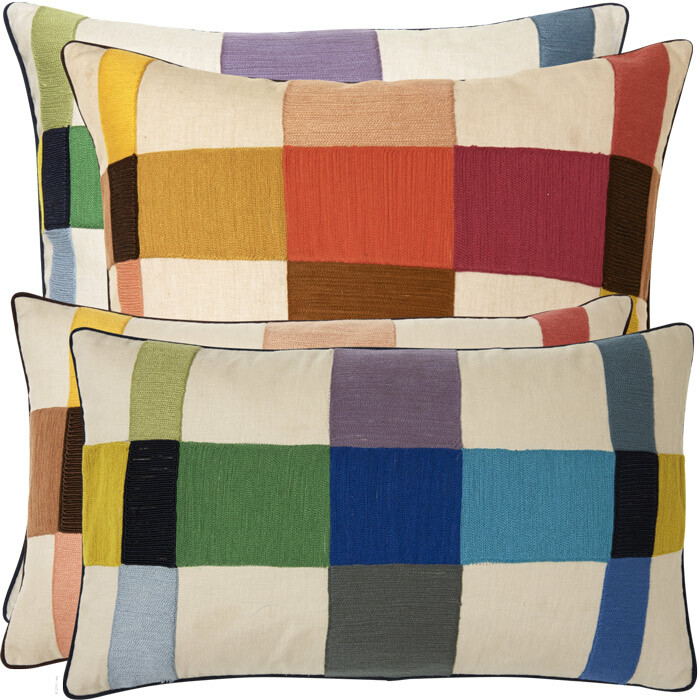 The Dynamo decorative pillow by Iosis is made of 100% linen embroidery. Dynamo is composed of a multi-colored checkered pattern atop a neutral ivory background. This fun vintage-inspired decorative pillow will liven up any room.